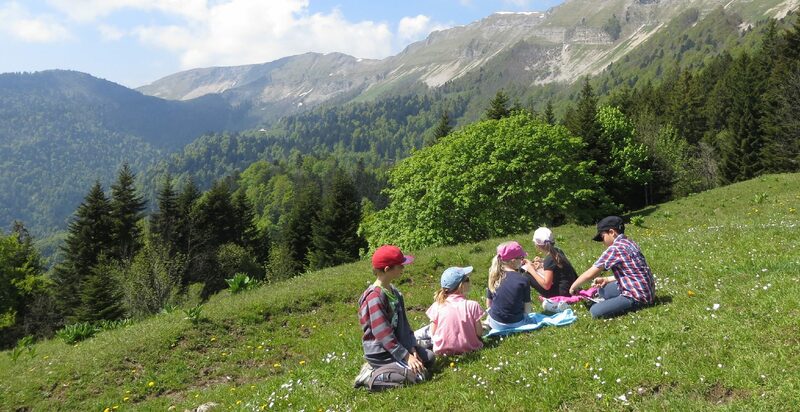 Since 2008 the Natural Reserve has offered nature activities to primary schools in the Pays de Gex and the Valserine Valley. Each year between 1,400 and 1,700 children benefit from these excursions (Photo credits: RNNHCJ). Informing users on site of the regulations of the Natural Reserve and its special features: territorial boundaries, advisory signs, information and road signs, etc. Organising exhibits or by displaying information at reception areas: tourist offices, the CCPG office, the Fort l’Ecluse, mountain refuges in the High Jura. Creation of discovery and interpretative paths. Promoting the value of the Natural Reserve by providing documentation and media services: hand-outs, brochures, maps, posters, videos. Sharing knowledge with the general public : outings, conferences, exhibits, festive events, receptions. Keeping the general public informed about the Natural Reserve and its current status: Website, noticeboards, local newspapers, special publications. Conveying information to children: classroom visits and on-site visits, reception at the Natural Reserve headquarters (Maison de la Réserve naturelle). Raising awareness among local elected officials, professionals and the community of partners: meetings, themed conferences, working groups.